The men’s competition at NHK is going to be one of the toughest of all. Javier Fernandez will make in Japan his grand prix debut and skate against Daisuke Takahashi, Nobunari Oda, Jeremy Abbott, Max Aaron, Adam Rippon and others. The Spanish European champion has started the season brilliantly, winning Japan Open and nailing all his best tricks (alas three quads in the free skate) and looks as strong as ever. Therefore, he is likely going to win the competition, even if a strong field features the Japanese grand prix. 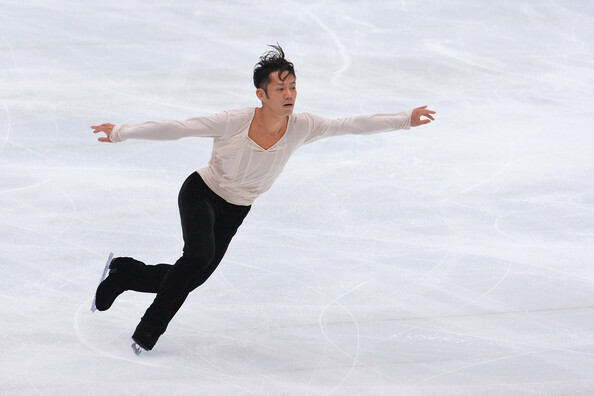 Daisuke Takahashi, who has been beated by Fernandez at Japan Open, will need a mighty good performance on the home ice in order to qualify to the final as he dropped down to fourth at Skate America. This competition will feature skaters who have already won a medal in a grand prix this season and for that aiming to qualify for the final. Adam Rippon and Max Aaron were the silver and bronze medalists at Skate America, where they both overskated Daisuke Takahashi. Adam Rippon was one of the few surprises of the American grand prix as he did beyond expectations attempting a quad lutz in both short and free program. Although none of the two tries were completely successful, he managed to get enough points with an overall solid performance.